In Part I of “Self-Published with Representation: A Duality that Just Makes Sense,” Denise Heinze explains why she choose to seek out an agent as a self-published author and how that decision led not only to representation but a traditional publishing contract for her second novel. My cat, Karma, perched nearby, yawned—prophetically, as it turns out. I had no idea then how far away from “it” I really was. Still, I’d reached a milestone. I was tempted to chuck the entire self-publishing venture, to abandon Sally St. Johns like a bad mother. But once the euphoria passed, a sort of primal instinct kicked in. I was proud of that work and of what I had put into it. Instead of ditching it, I vowed to nurture it. In retrospect, it was a smart move. A month passed, during which my agent prepared while I revised. Satisfied with the final product and the plan, she sent out the manuscript. Three and a half months later, an offer arrived, and, another month after that, I accepted. In old-school publishing time, this is a pretty quick turnaround; nevertheless, the entire process from signing to offer consumed nearly half a year. And that was just the beginning. Soon enough I learned that while self-publishing operates like the high-speed Eurostar, traditional publishing is more akin to the Orient Express. After I accepted the offer, it took a nail-biting, white-knuckling three months of back and forth to finalize the contract. Then came an intense six weeks of revision, followed by a conference call with the marketing and sales folks, and a tentative release date. And I haven’t even gotten to the copy-editing and cover design phases. All told, from initial offer to launch, the entire journey will take up to two years. Meanwhile, a self-published novel can arrive on digital platforms in an afternoon. There are obvious chutes and ladders to both modes of publishing, delineated in a glut of articles and books aimed at aspiring writers. My good fortune as an indie, and now soon-to-be traditionally published novelist, is that I don’t have to choose. With one novel on the shelves and another on the way, I have two exciting ventures. The first I’m entirely responsible for; the second is closely monitored by a dogged agent and comes with a crack team. 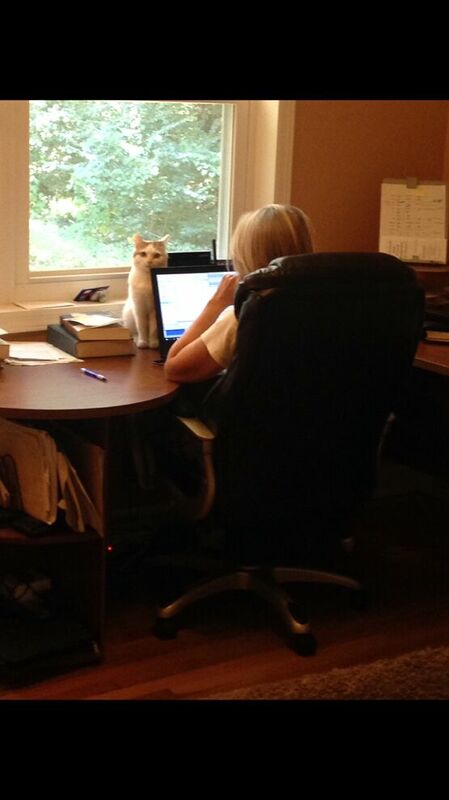 What I learn about writing and publishing from each vantage point automatically informs the other. The meticulous feedback of a first-rate editor, courtesy of my traditional publisher, is the mother lode to a writer. My paean to self-publishing aside, I am punch-drunk happy to be wrapped in the warm embrace of a traditional publisher. It is, still, the gold standard for many aspiring writers. And yet, there is everything to be said for taking the leap of faith in yourself when no one else will. DENISE HEINZE’s historical fiction debut, The Brief and True Report of Temperance Flowerdew, will be published in 2020. This was written by charles. Posted on Tuesday, April 9, 2019, at 10:12 am. Filed under Uncategorized. Tagged agents, denise heinze, self-publishing. Bookmark the permalink. Follow comments here with the RSS feed. Both comments and trackbacks are currently closed.